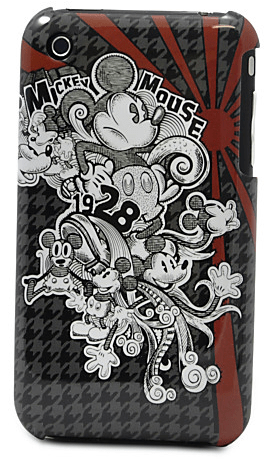 The Houndstooth Mickey Mouse iPhone 3G Case is on sale for $4.99 at DisneyStore.com right now. That's 84% off the list price of $32.95! See all posted toy deals for more opportunities to save! Also checkout the Disney Store online sale section for great deals on marked down Disney toys, clothing and accessories, home furnishings, and collectibles. Standard shipping is free on orders over $75 when you checkout using Disney Store promo code SHIPTODAY. DisneyStore.com promo codes are usually stackable.